We all know that terahertz imaging technology capable of seeing though the matter, detecting hidden anomalies, impurities, defects and foreign bodies, has some ‘counterpart techniques’ in the world, which pursue similar goals. As opposed to THz imaging systems offered by TeraSense these other techniques employ different parts of electromagnetic spectrum. We’d like to put one such discovery in the spotlight here. Walabot company recently released its 3D-imaging handheld scanner, which seems to have become a hot subject for discussion in the internet. No wonder, as Walabot scanner is an amazing device indeed, with astonishing capabilities. Its size is commensurate with a smart-phone and has a very convenient interface with any Android-based cell phone. This handheld scanner according to its makers has strikingly wide range of applications. The most salient of them is the use as a sort of domestic appliance for do-it-yourselfers to assist in remodeling and household repair operations, in particular in detecting and locating wires, pipes, rebar, conduits and other hidden elements inside of walls or structures. 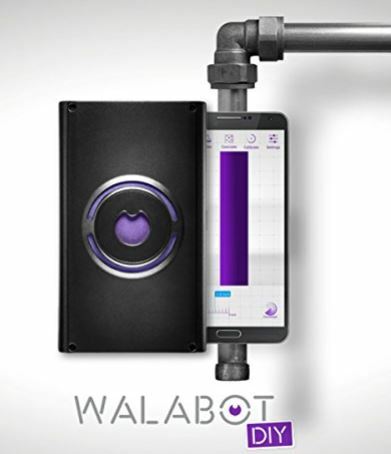 The matter is that Walabot mobile scanner can ‘see through walls, objects, and materials’. “We can see through objects and see into objects,” explained Malcolm Berman, director of marketing at Vayyar (the parent technology company). 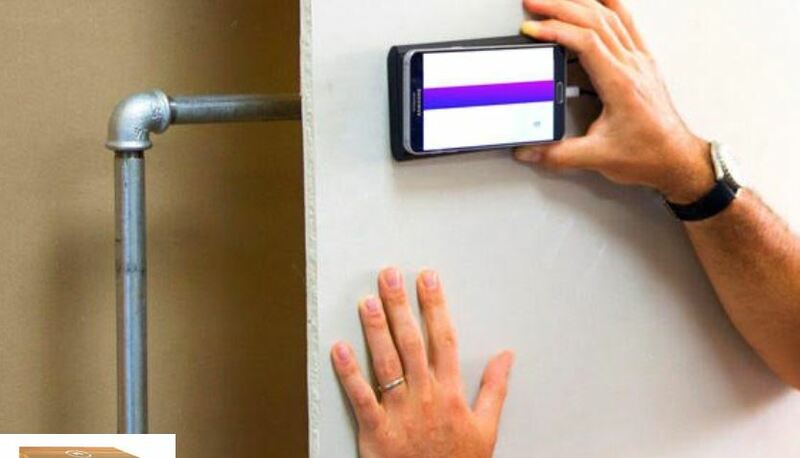 “This could enable you to check alcohol percent in vodka or fat level in milk, it can also detect speed, track targets, and see where people are moving. You can look inside walls and see the foundation of buildings. You could use it to check how much water is in soil and avoid over-watering crops. It could enhance robotic vision, enabling drones or robots to sense their environment.” It is important to explain here that originally the parent technology developed by Vayyar was meant as a portable and convenient technique for breast cancer diagnostics, as a cheap and lightweight alternative of a mammogram machine. Well, as we can see since that time the list of applications has considerably grown. Walabot 3D scanner evidently operates in reflection mode, because it includes special antennas that generate mighty signals and sensor array that pick up the reflections. Generated signals must be quite potent as they are capable of penetrating walls and human tissues, while the latter is quite a ‘hard target’ as Malcolm Berman confessed. If Walabot scanner can really do all those wonderful things on the list, it is indisputably one of the greatest scientific achievements of nowadays ! The only catch here is the phrase ‘X-ray vision’ which is emerging in association with this gadget in some of the articles in the web. These articles state that Walabot technology is based on radio frequency (‘similar to Wi-Fi, mobile networks, and radar systems). While Berman claims it emits a fraction of the radiation that our cell phones do. Fraction or not, but ionizing radiation is harmful. As opposed X-ray technology, terahertz imaging technology offered by Terasense is absolutely safe and harmless for humans, animals and plants. 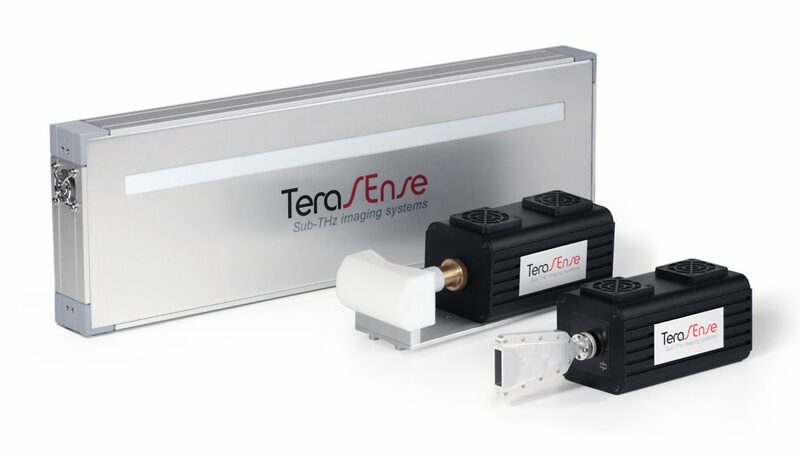 Unlike X-ray techniques, TeraSense imaging scanner systems do not generate any ionizing radiation, and can be also used in many non-destructive testing (NDT/ NDE) applications. Its penetration/ scanning depth in certain materials can also reach a few inches (for instance, wood, chipboard, sheetrock etc ), while in certain materials that are extremely ‘friendly’ for T-rays (i.e foam, silicon etc) the scanning depth can be higher by order of magnitude! We must also admit that the specifics of our terahertz-based NDT applications is different and more adapted to industrial use rather that DIY applications at homes. Another thing is that the interface with a mobile phone is not viewed as our priority so far, because we staked on the regular interface with PC and should focus on standard machine vision interfaces used in the industry . Who knows, may be in the future we will get down to cell phones too.